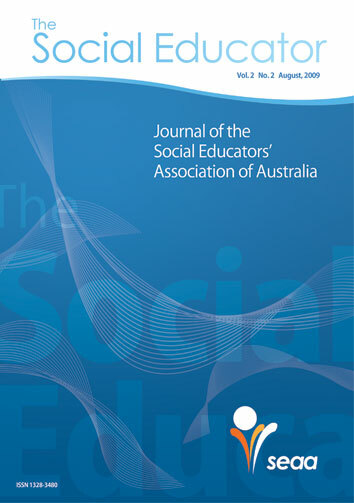 The Social Educator, the official journal of the Social Educators’ Association of Australia (SEAA), provides a forum for innovative practices and scholarly research in relation to social education. The journal encourages submissions of manuscripts from educational researchers, teachers and teacher educators and invites contributions which address social education curriculum broadly and the teaching and learning of it in schools, tertiary education and/or community contexts. All research and practitioner exchange papers undergo a rigorous peer review. The process includes initial editor screening and a formal peer review by two independent reviewers drawn from a panel of recognised authorities among Australian and/or international social educators. Contributions to The Social Educator become the property of SCEAA unless otherwise negotiated by the author. While reasonable checks are made to ensure the accuracy of statements and advice, the association can accept no responsibility for errors and omissions however caused. No responsibility for any loss occasioned to any person acting on or refraining from action as a result of material in this publication is accepted by authors, SCEAA or the Editorial Board. Any opinions expressed by the contributors to The Social Educator are those of the authors and do not necessarily reflect the views of SCEAA or the Editorial Board. The Editors reserve the right to edit articles at their own discretion unless otherwise requested.